We invite you to try this sleek and sophisticated jar candle. 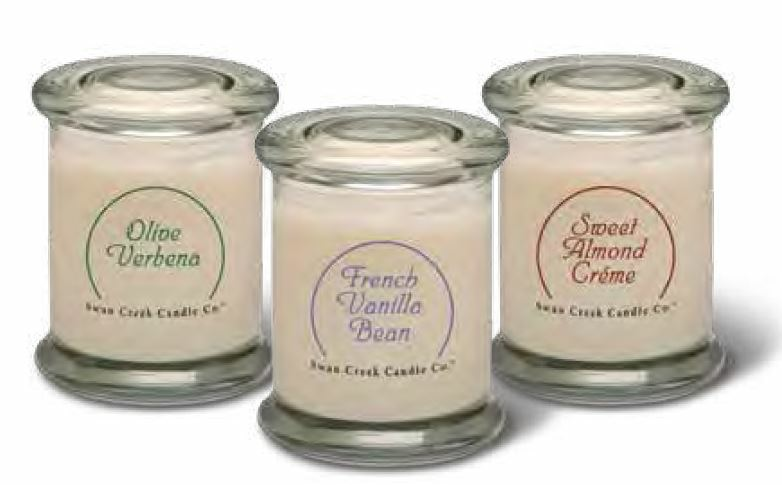 All the CONTEMPORARY JARS come in clean white wax, are adorned with a colored square label, and are topped by a clear glass lid. Perfect for any room in the house - label is easy to remove for a cleaner look! These containers are made in the USA. Candle wax, all American!